You can be forgiven if—for one reason or another—you’ve neglected to add the members-only Anvil Club to your “must-visit” list for 2019. 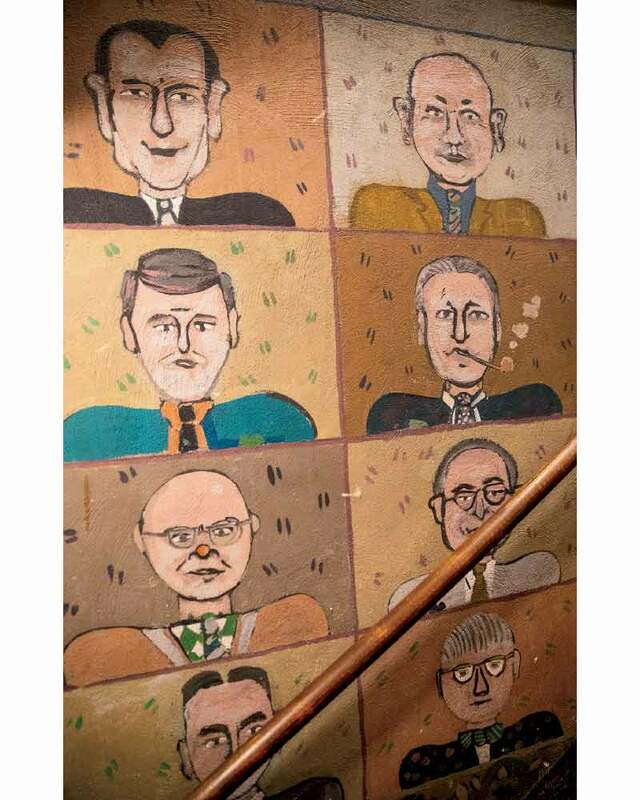 Even though it’s been in existence since 1956 and its current owner, Tom Roeser, invested no less than $3 million into a first-rate renovation just a few years back, it’s not the sort of place that calls too much attention to itself. It’s about as conspicuous as Prohibition-era speakeasy. No neon lights or fancy signs. If anything, you’re likely to blow right past it—Google Maps or not—if you don’t keep your eyes peeled for the tiny valet sign that leans out from the corner of Meier and Railroad streets in downtown East Dundee. Which is exactly the way members like it. Those who know, as the old saw goes, will know. And no one else has to. There are only two ways to gain entrance. 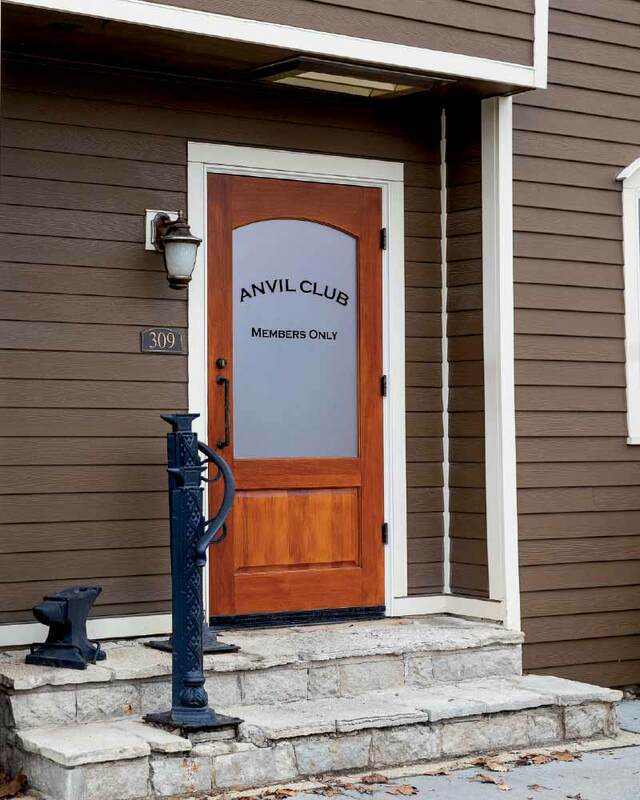 Join the Anvil Club itself—a $495 yearly rate provides members yearlong access to its restaurant, bar, live entertainment, and host of other activities. Or as was our case, you can be lucky enough to know someone who is a member, who can invite you along for a meal. It’s worth the effort. At a time, when your average smartphone can show you 1,000 snapshots—if not extended video clips—of what to expect from any restaurant, it’s a treat to visit a place that keeps some secrets close to the vest. Truth is, The Anvil Club is harboring as many precious antiques as a backroom at the Art Institute of Chicago. 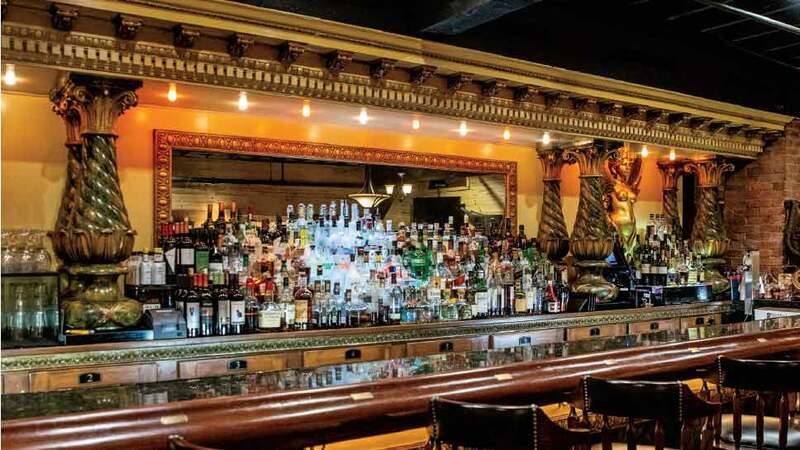 The club’s primary lounge area boasts an immaculately preserved bar salvaged from a previous incarnation of the Oriental Theatre. Standing sentry over the fine-dining Board Room is a massive stained glass window, which survived the Chicago Fire only because its owner sent it off for cleaning a few days before the conflagration. And our personal favorite—the more casual equine-themed saddle room, which lines its walls with saddles and horse-themed artwork (including some donated by long-time Barrington residents). Every door and window conceals an interesting backstory. In one room—aptly called the Who’s Who room—intricately carved wooden owls have been carved into the crown molding. A door reclaimed from an old bordello frequented by Al Capone is pockmarked by a bullet hole. And then there’s the menu itself, which resurrects flavors and fine-dining traditions when Julia Child was in her heyday. 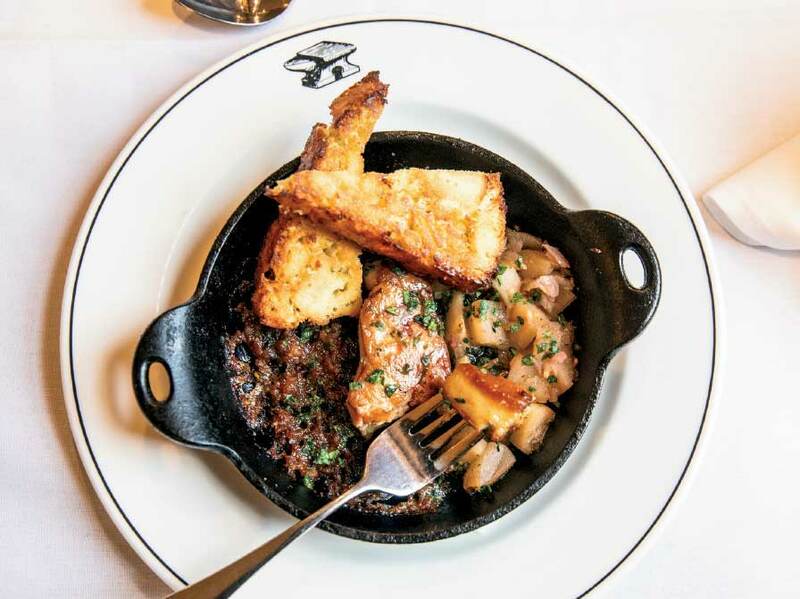 Although diners can either graze on small plate offerings or opt for a more traditional coursed meal, the menu leans on tried-and-true favorites. Roasted quail. Seafood towers. Escargot. Waldorf Salads. Lobster tails. And Sherry-drenched duck. We were particularly taken with the foie gras, not only due to its beautifully caramelized sear but also its uber-rich accouterments: confit bits of sugared and caramelized apples that straddle the line between sweet and savory, a bacon jam thick as crimson-colored frosting, and fried toast points crisped up like duck-fat French fries. Although there are plenty of ways to enjoy a lighter meal—nibbling on a charcuterie plate composed of strolghino salami, spicy sopressata, and delicious slices of English cheddar that taste like French onion soup in cheese form will more than due—the best of the menu is pure old-school luxury. 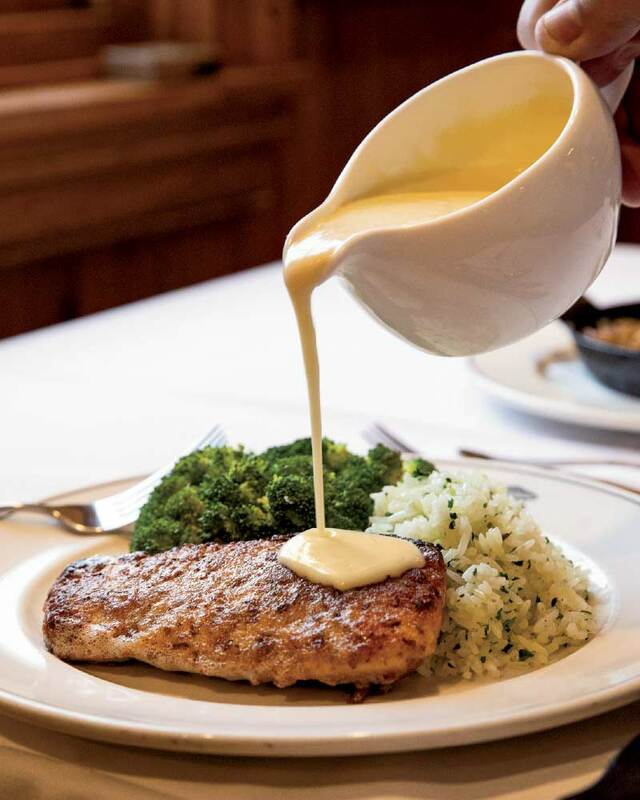 The house’s steak Fernando—a play on steak Diane—is fired up tableside by Fernando Nibres, whose history with the Anvil Club dates back more than 30 years. He puts on quite a show, firing up a rich cognac-based sauce—a demi-glace on steroids—and pouring it over ultra-tender cuts of filet mignon. The proportion of garlic to sweet shallots and thyme to oregano and parsley are balanced, aided by a few hefty heaves of butter that Dame Julia would surely have approved of. Equally impressive was the house’s pecan crusted halibut set next to boursin mashed potatoes and asparagus. We kept returning time and again to our pitcher of beurre blanc for balance and acidity, never to be disappointed. 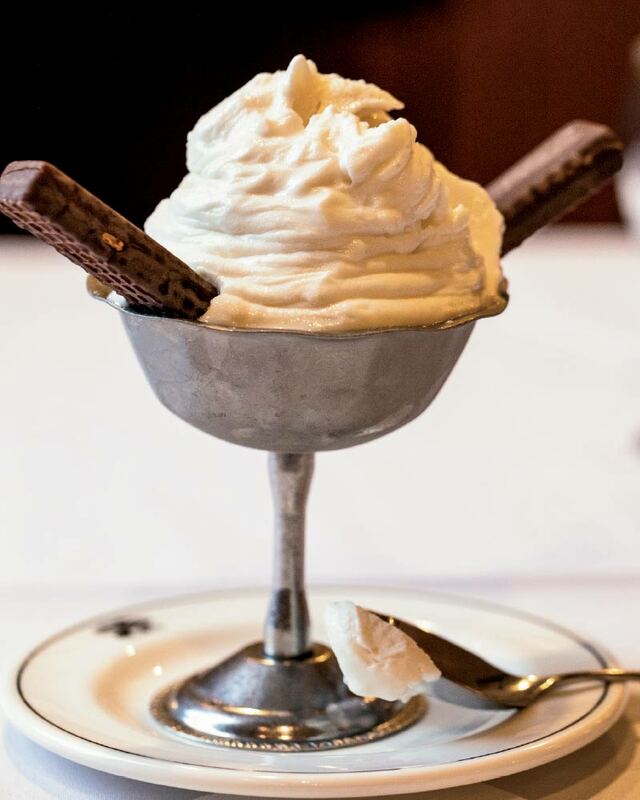 Desserts follow a similar trajectory—try the flambéd bananas Foster for more tableside pyrotechnics—but no meal at the Anvil Club is complete without the house’s “Brandy Ice.” Years back, Fernando used to make it by hand, pouring whole bottles of Christian Brothers whiskey into a giant ice cream machine. These days the kitchen purchased a soft-serve machine, which is still spiked with enough whiskey to fell any member of the Rat Pack in their prime. 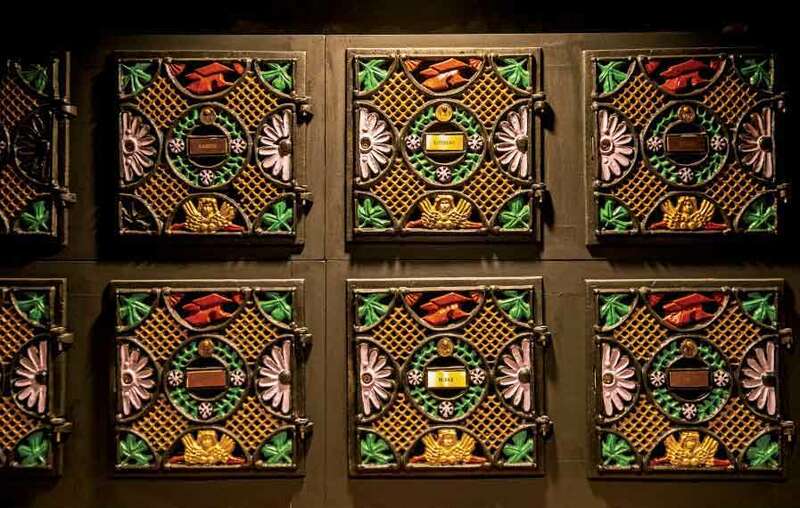 The whiskey doesn’t look particularly heavy, but it can pack quite a punch—a fitting symbol to a restaurant that boasts more than its fair share of concealed delights. The Anvil Club, 309 E. Meier Street, East Dundee. 847-426-7710. Note: The Anvil Club is a member’s only restaurant. For more information, visit theanvilclub.net. The true luxury of being able to linger over a meal and conversation with friends, while dining superbly, is what I loved most about the Anvil Club.